‘A photograph can speak a thousand words’ cliché we know! However we think photography really is the universal language of the world, it has the ability to instantly evoke feelings and emotions and communicate with any audience regardless of age, gender, race, culture and more. It is an integral part of our creative ‘toolbox’ and should always be considered an important aspect within your brand, along with a strong logo mark, colour palette and appropriate tone of voice. Allow me to explain, think of your brand as a recipe. In order to bake a successful Victoria Sponge you will need the correct measurements of each ingredient. By taking just one ingredient out would throw the whole recipe out of balance – I mean, a Victoria Sponge without any Strawberry Jam… well, it wouldn’t be a Victoria Sponge! Think of photography as the Strawberry Jam of your brand, it’s the glue that will hold all the other aspects together. Not only will it enhance your website and printed material, it will also give your audience an immediate idea of who you are and what your business does before you’ve had a chance to tell them. It doesn’t matter how good the written copy on your website is, if the photography isn’t of an equal standard then your audience might have already disengaged and gone to put the kettle on before they bother to read on. As well as the above, imagery is also a great way of creating a deeper connection with your audience, through the all-important human-element. It’s proven that people feel reassured by people; it’s nice to know that there is another human being behind the brand and having that connection will instantly make you and your brand feel more trustworthy. So what are the benefits of bespoke photography? Well, bespoke photography is all about creating a visual representation of your brand and really selling your service or product in a genuine and trustworthy way. While there are lots of good quality stock imagery sites available, the images just don’t have the same effect and can quite often come off as generic and lacking in personality. We have worked with multiple companies that have invested in bespoke photography and seen the benefits from having an authentic portfolio of images that can be used again and again throughout their website and printed material, and become recognised by their clients as part of their whole branding identity. 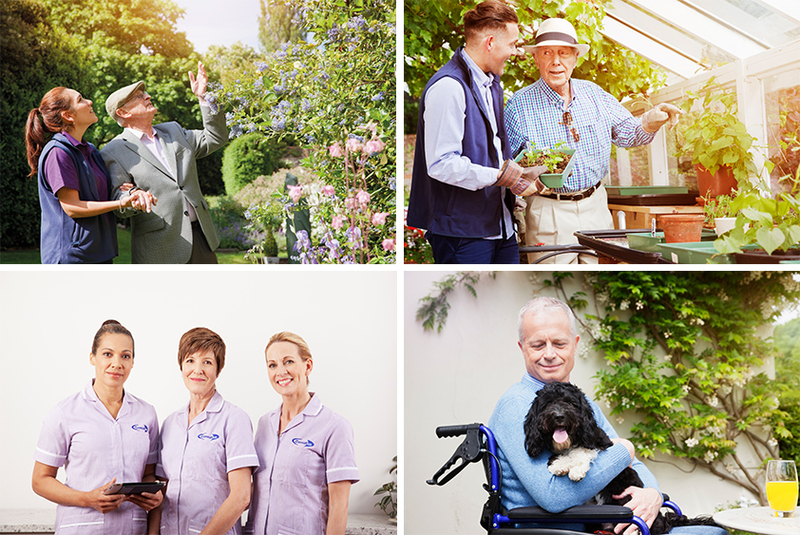 As an example, in 2015 we worked with our long-standing client Consultus to produce a set of photographs that told a story about the care and nursing services they provide to their clients. Lots of planning and preparation went in to the shoot; with multiple aspects to co-ordinate we honed in on three main ‘stories’ that we wanted to capture, and selected the appropriate models and location to portray this. Each of the three ‘stories’ were story boarded prior to the shoot so that on the day we were able to art direct at ease and work closely with the photographer to achieve our goals. The finished product was a very authentic and diverse set of imagery that really conveys the different aspects and ethos of the company. These images have become a part of the Consultus identity and are featured again and again throughout their website and printed communications, so it really is an on-going investment to their brand. If you are considering whether bespoke photography would be valuable to your company, we would be more than happy to offer our guidance! Give us a call, drop us an email or pop in for a chat!